Sometimes our faith comes with a price – an expensive exchange if we’re serious about it. 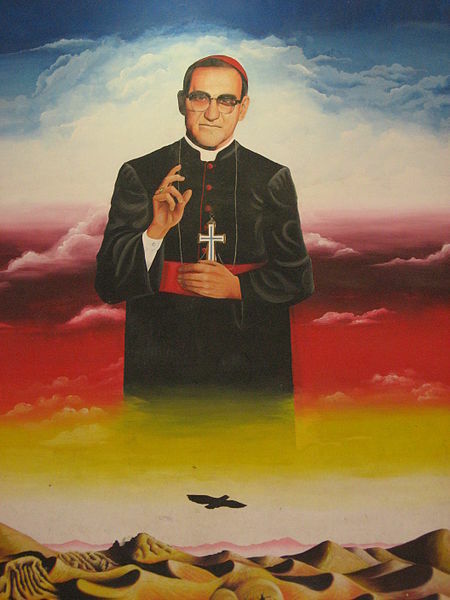 Really serious like Archbishop Oscar Romero, who in faith raised his voice against the injustices pervading El Salvador around him & paid with his life, murdered on 24 March 1980 while celebrating Mass at the Divina Providencia Chapel in San Salvador. This entry was posted in Lent, Quotes and tagged Archbishop Oscar Romero, catholic martyrs, Cross of Christ, faith, Human Rights, Jesus Christ, justice, Lent, Oscar Romero, religion. Bookmark the permalink. Once again, thank you for your inspiring writings. I read the UN bio..a Man of God and a voice for the poor. So glad you read it, Carol-Jo – he was a man of justice, faith, love & HOPE — plus, most definitely a Rose in the Rubble!! — blessings to you on this FREEZING SUNDAY! Go to http://www.TheMartyrsProject.com to view the video. Feel free to use it on your site, review the album or video, or blog about The Project. If you do, let us know so we can put a link on ours. If you are interested in a story on The Project, please get back to us. We are located in Indianapolis. You can follow us on Twitter @martyrsproject.